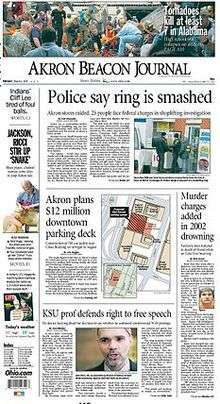 The Akron Beacon Journal is a morning newspaper in Akron, Ohio, United States, and published by Black Press. 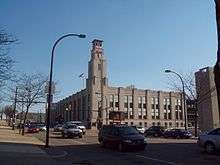 It is the sole daily newspaper in Akron and is distributed throughout Northeast Ohio. The paper places a strong emphasis on local news and business. Industries historically tied to the area are also well-covered, such as rubber and tire production. ↑ Audit Bureau of Circulations e-Circ data for the six months ending September 30, 2011. Retrieved March 10, 2012.